Happy Monday folks. 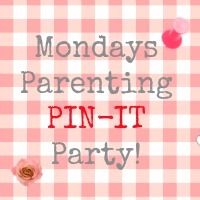 I am hosting this week’s parenting pin it party *shakes maracas* so come on in, grab a glass of vino and let’s get started. First, here are my two favourites from last weeks party. I definitely want to try and make these gorgeous Dragon Eggs and Hodge Podge Craft have a wonderful tutorial on how to do it. I also really want to try to make theses super cute bumble bees from Nemcsok Farms. How sweet are they? 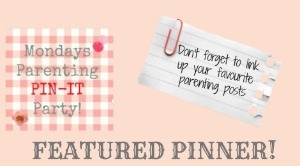 So a huge thank you to our two featured pinners. Do feel free to grab yourself a badge. Please do remember to join us next week for our ONE HUNDREDTH PARTY!